July went by as quite a uneventful month, nothing really going on, cold, rainy night, not many events of sorts, so we are just simply hibernating our way to spring. When trying to figure out which my favourites were for the month I really though I was not going to find anything, I pretty much slept, eat and read the whole month, but the more a though about it I realized I actually have quite a lot of things for this months, so I narrowed it down to a few things to share with you. Last month I wrote I wasn’t quite sure if I should continue with the monthly favourites since they didn’t seem as appealing as the rest of the posts, but as it turns out you do like them, so welcome once again to my Monthly Favourites (June edition) This was a weird month, it seemed that it started yesterday and it went by super quick, but I do have some picks for you. It’s time for another monthly favourites! To be honest I was about to “retire” this section of the blog because I felt you people…yes YOU… weren’t that exited or wasn’t something that caught your attention. Until last month, where my monthly favourites was almost the most view post of the month. So I’m going to give it another go, if it goes well or if you want them to stay, I will continue with my favorites if not, we can consider this one…the last one. Let’s start! I’ve been doing some serious thinking, and you may remember that at the beginning of the month I wrote a blog post on the things I would want to do on February, but I realized that not everything is possible and it would be really complicated and boring to you to read one post on what do I want to do and another on “if I’ve done it”. So, as from now I will do one post at the end of each month on my monthly favourites. Im pretty pleased with myself, I promised I would write at least 2 post per week and I kept it. January was a pretty good month (must admit having my birthday was a big plus) summer is here, you can go to beach every weekend and the city is full of things to do. But I expect more for February, more travel, more adventure, more books, more late night movies, and more interesting projects. Health: Less coffee, more water. Stay away from the chips! Activities: Start cooking again, Find a job closer to my line of study. Do you have any TO DO things for this month or have something to advise? Me siento bastante satisfecha conmigo misma, me prometí que iba a escribir por lo menos 2 posteos por semana, y hasta ahora lo vengo cumpliendo. Enero fue un muy buen mes, (debo admitir que festejar mi cumpleaños sumo mucho) ya estamos en verano, podes ir a la playa todos los fines de semana y la ciudad esta llena de cosas para hacer. 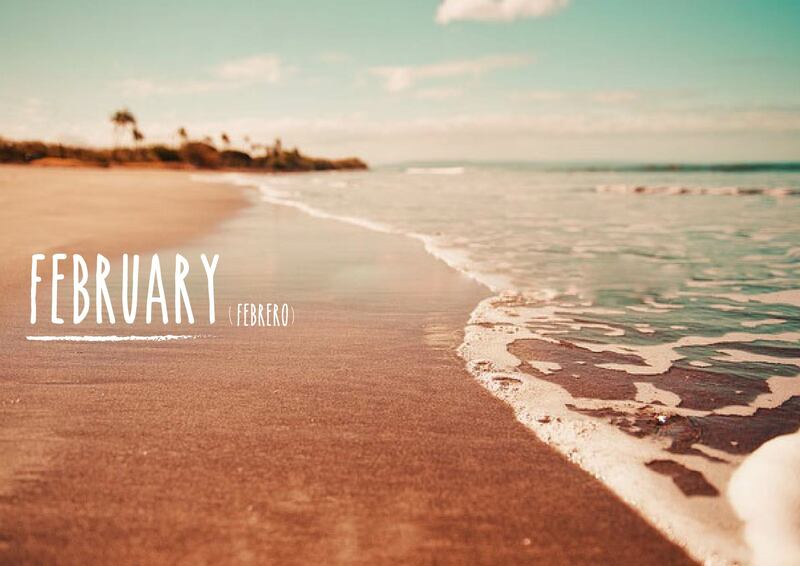 Pero espero aun más de Febrero, más viajes, más aventuras, más libros, más peliculas de trasnoche, y más y más proyectos interesantes. Salud: Menos café, más agua. Alejarme de las papas fritas! Actividades: Empezar a cocinar otra vez, conseguir otro trabajo cercano a mis estudios.